We face many evils in society that government regulation would do a lot to help us avoid. Salt should be pretty low on that list—unless you’re the Center For Science in the Public Interest, apparently. Alright, eating too much salt can have long-term consequences—just like eating pretty much anything. And yes, we eat way, WAY too much salt. As a result, CSPI’s 2005 petition asked the FDA to revoke salt’s “generally recognized as safe” status, which seems comically overboard to me. 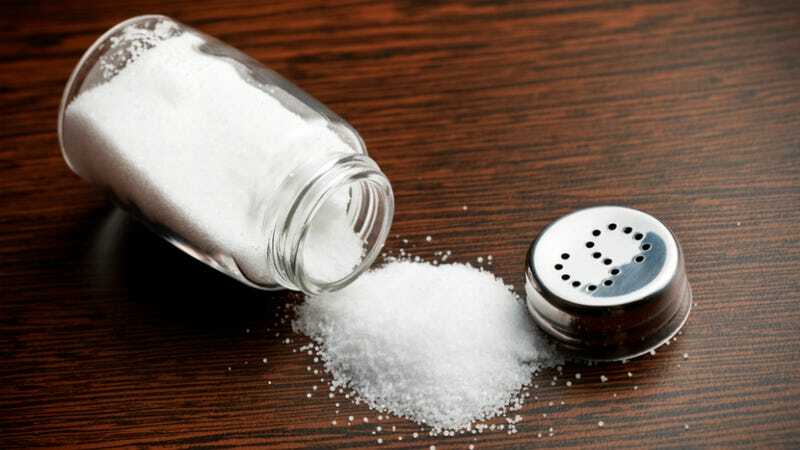 The petition also wants the FDA to require health warnings on retail packages of at least one half-ounce of table salt, because salt is apparently as dangerous as cigarettes. As a result of the FDA dragging their heels on this petition (which makes sense, as it is somewhat silly, if well-intentioned), CSPI is suing, claiming it is breach of a law requiring federal agencies to respond to petitions in a timely manner. What, after only 10 years? With the speed of government, that actually sounds pretty reasonable. Look, I’m sorry; I know too much sodium is bad for you, and we as Americans eat too much of it. This is true. It’s also true that the health care burden of excess sodium consumption is less than ideal. But salt isn’t cigarettes. Hell, it isn’t even trans fats. Yes, we should reduce our salt intake, but surgeon general’s warnings and revoking a generally safe status should be reserved for things that are, y’know...actually legitimately dangerous.